HÀ NỘI — Property developer FLC Group said it will inject US$1.5 billion into agricultural development across 15,000 hectares of land in Việt Nam during 2018 and 2019. The plan will grow FAM – an FLC subsidiary specialising in the production and import-export of farm produce – and support farmers in improving their productivity, product quality and distribution. Most recently, FLC and the Việt Nam Farmer’s Union signed a memorandum of understanding as part of a co-operation programme on farming development, rural building and agricultural restructuring. The two sides will assist farmers in building farming cooperatives that meet the standards to be part of FLC’s production chain. They will promote safe farm produce and high-tech production models. Human resources training, technology transfer, and field trip organisation are also included in the engagement. 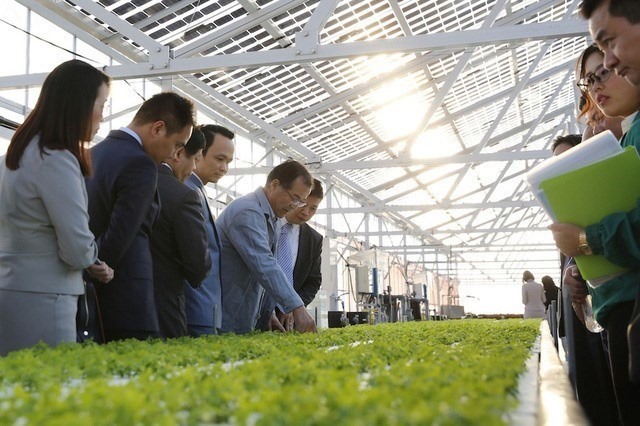 Last year, FLC signed an agreement with Japan’s Farmdo Company to jointly develop a 4,000 ha hi-tech agricultural farm using solar energy – one of the most advanced models in the sector. It uses double-sided solar panels to cover agricultural land, allowing for renewable energy even as crops continue to receive most of the sunshine.